The world of camping is adventurous, exciting, and, at times, nerve racking. 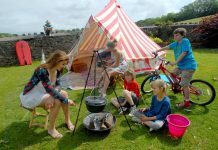 If you have been camping for a long time, then you must be acquainted with certain realities of camping. 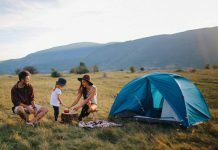 These realities essentially define the experience of camping. 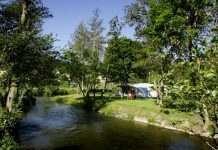 Newbie campers often end up making or repeating mistakes, but the real campers, with considerable experience, know how to dodge them and ensure a comfortable camping. 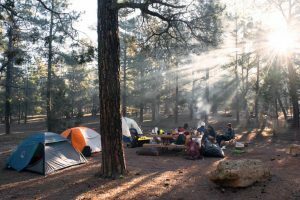 In this article, we have assembled together a couple of things which only real campers know. So, if you are going to camp in the near future, you better pay attention to this list. It hardly matters whether you attach those aircraft landing lights or have high guy ropes, there is always a possibility of someone tripping over them. One group of such trippers are children, and the most annoying aspect of this group is that it never learns. 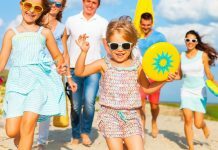 Children will keep on tripping over the ropes and you would not be able to do much about it. The chances of someone tripping over only multiply when you are camping in a relatively crowded space. The ordeal would not seem to end. All kinds of fear swept through your brain which has come to enjoy the peace of camping. In order to fight off this fear, it is highly recommended you keep close a check list to ensure you have everything essential in your bag-pack. Camping is exciting, but it fills our head with all kinds of apprehensions, especially relating to the campfire. You become suspicious of the campfire smoke, and no matter how much you try to avoid it, the smoke will always find a way to trouble you. If you have set up a comfortable camp, you expect someone to play those guitar strings for the group. There is no specific purpose of having a guitar in your camp, but it always adds music to an already enthralling experience. Real campers know that camping would not go as fun as expected without a guitar. Seriously, where is the guitar anyway? We have seen actors toast marshmallows on-screen, but do you really trust the depiction? Do not do that because toasting marshmallows is totally different. Your primary objective is to turn those delicious blocks into adorable golden brown color, but you know very well, as any real camper would, that most of the time those marshmallows end up sticking to the stick anyway. Toasting Marshmallows is a tedious task—better not believe what they depict in movies and pictures. It is always a mess! There is something magical about campfire—it will instantly make you like any kind of food. You might hate veggies, but when cooked on a campfire, you will not be able to resist the temptation. Even those disgustingly green items of consumption can make your mouth water. One tip for all the campers out there: Cook properly. Ensure that the food is not burnt or raw or else your camping activity will be disturbed by bouts of stomach ache or may be food poisoning. 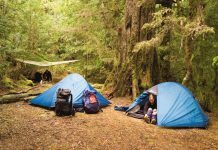 After having enjoyed the comfort of a sleeping bag, the harsh reality surfaces—putting the sleeping bag in its bag. It will take patience, energy, and perseverance to achieve this task. Even campers with years of experience note the difficulties in accomplishing this task. Nobody wants to wake up to a realization that it is time to put everything back, especially the sleeping bag. While many may imagine rain to be a nuisance to campers, it is actually not. You will enjoy the sound of rain droplets falling on to the tent and will remember the experience all your life. For a change, a noisy atmosphere will bring you peace and calm.